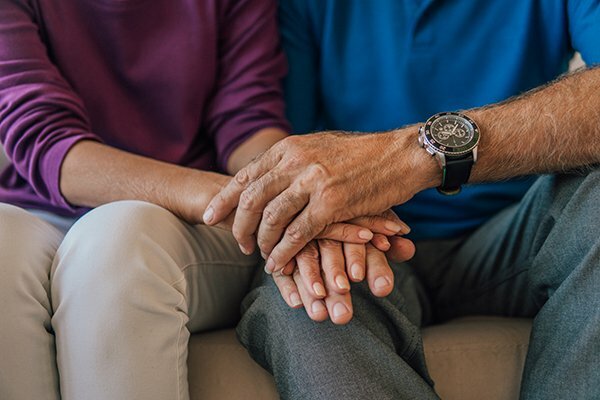 In marriage we pledge to stick together for better, for worse, for richer, for poorer, in sickness and in health – but what does not come up in our vows to one another is how to deal with the mounting challenges of senior care as our parents age. Finances. Still holding the top position for the reason cited for divorce, fiscal stress is amplified if the senior has not yet executed a financial plan for long-term care. Frankly communicating irritations with each other and working together to examine options to cover the cost of services can help. Exhaustion. As worthwhile as it can be, fulfilling the needs of an elderly loved one demands a great amount of hard work – leaving little left over at the end of the day for your spouse. Agree to opportunities for the assistance of others or hire professional in-home senior care assistance, so you can be sure to allow for high quality time with your partner. Frustration. Mounting frustration and decreased patience are a couple of frequent negative effects of fatigue, and unfortunately, we have a tendency to lash out at individuals we love the most when feeling overwhelmed. Tolerate imperfection, practice understanding, and find professional help as needed. Make sure your spouse is always a high concern. Small gestures can do a lot towards this end, such as writing a handwritten note of love and appreciation, waking up a couple of minutes early to share a cup of coffee together before the day becomes demanding, or setting aside a block of time at the conclusion of the day to talk and wind down. Joining an online support group for family caregivers can give you the opportunity to vent irritations with individuals in similar circumstances, soothing anxiety. Seek out the services of a certified counselor, either for yourself individually or for both of you as a couple. Another great way to accomplish a healthy life balance is through partnering with a trusted in-home care provider, like Heaven at Home Senior Care. We provide customized respite care solutions that enable loved ones to take time away from parental care, while offering seniors the opportunity for increased socialization with a friendly and fully-trained caregiver. Call us at (866) 381-0500 or contact us online to learn more about home care in Grayson and the surrounding areas.